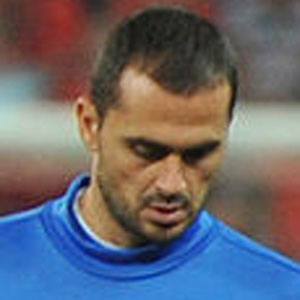 Defender who made his professional debut in 1999 with Paniliakos and first appeared internationally for Greece's senior club in 2005. He played youth soccer for Almopos Aridaia in 1998-1999. He signed with Levante in 2013. He was born in Mesto Albrechtice, Czechoslovakia, now part of the Czech Republic. He joined center back David Navarro on Levante in 2013.